Headed into the Divisional Playoff game, the 15-1 Pittsburgh Steelers hadn't lost in 118 days. They were blown out at home by the Ravens in Week 2, and replaced quarterback Tommy Maddox with their first round pick, a kid named Ben Roethlisberger. So, naturally, Big Ben went on to win the first 14 games of his career. 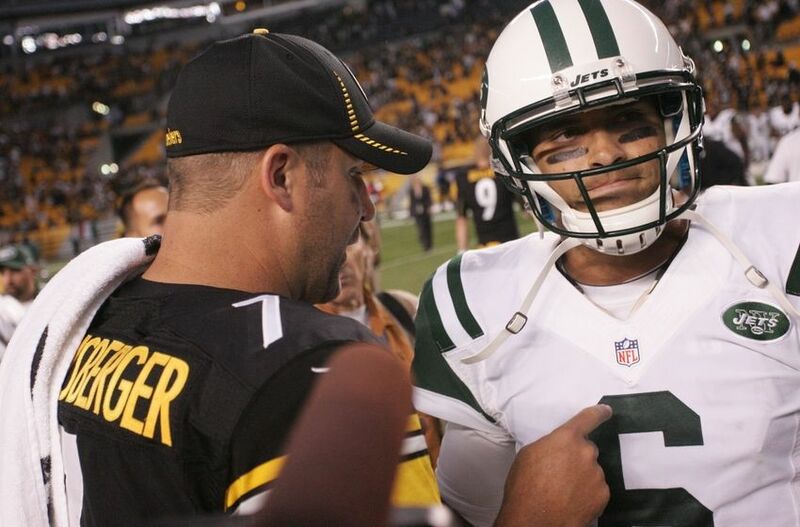 In spite of all this, the Jets played well in Pittsburgh. After a Hines Ward touchdown, the Steelrs gave the ball back to the Jets with 5:54 left and the game tied at 17. Trusty 'Ole James Chadwick Pennington drove the team down the field, getting them to the 28 yard line just before the two minute warning. And that's when my lows as a sports fan began; only four months after I dove head-first into the world of professional sports. Doug Brien came out for a 47 yard field goal, which banged off the crossbar and out. I was greatly disappointed, so ready at the age of seven to celebrate my team upsetting the best team in the league on their way to the AFC Championship Game. But, I felt something. I felt that it wasn't over for the Jets. That wasn't their last chance. Sure, The game was almost over, but either they'd get the ball back in regulation or they would have an opportunity to win it in OT. On the very next play, my hunch was confirmed as Roethlisberger immediately threw an interception, giving the Jets the ball back at Pittsburgh's 37 yard line. Okay, this game is going to end here. There's no way the Jets mess this up. In the most Jets thing to happen in the history of the Jets, they messed it up. Namely, Brien messed it up. Sure, the offense could have given him a little bit more help by moving the ball further than the 24 yard line when they'd be setting up a field goal going into the wind, but a 43 yarder is doable. So...Brien hit it wide left. Unfortunately, I can't find a YouTube video of either of his kicks. Maybe that's a good thing. It's really saving me from the heartbreak. As my aunt came to pick me up from my friend Steven's house that night, where I watched the game, I was dejected. I swore that I no longer cared about the NFL playoffs (before of course watching Michael Vick and the Falcons run all over the St. Louis Rams that night). 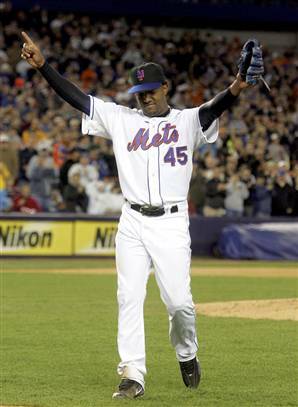 The Mets were on the upswing in 2005, the first year that I started watching them regularly. Sure, I'd made my way to Shea Stadium countless times before that year (and they actually won every game that I attended), but I didn't follow the team day in and day out until I was seven. The acquisitions of Pedro Martinez and Carlos Beltran looked good in the first year. By March 2006, it became clear to everyone that the Mets were going all in for a championship, and had the team to do it. They ripped two key players from the division rival Florida Marlins added Paul Lo Duca to replace the now-departed Mike Piazza as well as getting my boy Carlos Delgado (who was already my second favorite baseball player, behind Grady Sizemore. He shot past Sizemore the second he signed with the Metropolitans.) at first base to give an incredible offensive upgrade over Doug Mientkiewicz. I swear I spelled that correctly without looking it up. I have years of Sporcle to thank for that. But then, the heartbreak set in. As an eight year old, I shouldn't be blamed for this, but I fell asleep before the ninth inning. I had no clue how the game turned out until I saw it on the news early the next morning on CBS before going to school. Maybe seeing it live would have been a little worse, but I was so incredibly wrecked by those highlights that it would be hard to imagine how I would have felt if I did see it live.I cried that morning. The Mets were too good to lose like that. They had been the best team in baseball during the regular season to they just had to win the World Series. I remember me and all of my fellow Mets fans in my fourth grade class greeting each other with defeated looks on our faces. None of us able to fully convey the feeling of pain that was eating away at us. While going through all of this, the Knicks were spiraling out of control. They were about to start the 2006-07 season, a year after going 23-59 under coach Larry Brown. To add a little perspective to this, Larry Brown joined the Pistons before the 2003-04 season, won a title, won the Eastern Conference the next year, then took over the Knicks where he won 23 games. That's how bad the Knicks were. 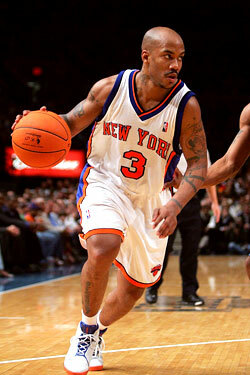 Images of Steve Francis and Stephon Marbury's senseless ball-stopping, Eddy Curry not living up to the price that the Knicks paid for him (two of the draft picks they traded ended up becoming Joakim Noah and LaMarcus Aldridge), and waaaaaaaaay too much Malik Rose dominated that season and set the tone for the rest of the Isiah Thomas era. The Knicks were so bad that within a few years there was actually a billboard a few blocks from my house that featured Al Harrington and his new shoe line, because he was relied on so heavily by the team that his bald head swelled up enough to think that anyone would buy shoes because of him. Trust me, unlike Starbury, Al Harrington's Protege line never caught on. MSG co-residents, the Rangers were continuing their eternal teasing of their fans, which has been the case for so many years now. I wasn't nearly as big of a hockey fan three years ago as I am now, but I certainly cared. Watching the Rangers enter what is now commonly known as Atlanta Hawks Hell (being good enough to make the playoffs year after year but not good enough to go anywhere) was weird for me. There were times of great excitement, but there were also times of whatever, this is what's going to keep happening forever. When Eric Mangini became Eric Mangenius with the 2006 Jets, I had no real explanation for what happened. How the Jets made their way to 10 wins was beyond me. But I wasn't complaining at all, and I certainly wasn't affected too much when they were rocked 37-16 by New England in the Wild Card round. But, I was affected by the 2008 Jets. It all began early in the morning on Thursday, August 7, 2008. It was not too far past midnight, and I was watching SportsCenter while spending the night at my grandparents' house. After lots of drama, talks for Brett Favre's departure from Green Bay were heating up, and it appeared that he'd be headed to the Tampa Bay Buccaneers. Out of nowhere, it was announced that the Jets had swooped in and snatched him from the Packers in exchange for a conditional draft pick (which ended up becoming a third rounder). In fact, that became my catchphrase for the rest of 2008. I would randomly yell that out in any situation just to remind everyone that my football team had Brett Favre, and theirs didn't. Later that day, about 19 hours after the trade, Favre appeared on the Jets sideline during their preseason game against the Cleveland Browns, chatting it up with his new teammates. The next week, I went to Giants Stadium to catch Favre in action in their second preseason game against the Washington Professional Football Team, but due to traffic, I got to the game late and Favre was chilling on the sidelines with his helmet off. But, I got to see Favre in green and white. That was good enough for me. Things were set in motion for an amazing year. It felt like I was about to witness something special. And boy, did we see some special stuff that season. In Week 4, Favre led the Jets to 56 points in a shootout win over the Cardinals (that I didn't watch because I was too busy watching the Mets bungle away their shot at the playoffs for the second straight year. Don't worry, we'll get to that insanity later on), throwing six touchdowns. Then, there was my favorite football game ever (at the time). Heading into Week 12, the Jets were 7-3 and looking like a pretty dangerous team in the AFC as they were riding a four game winning streak. Unfortunately, they were entering Tennessee, where their opponent was the undefeated Titans. What did the Jets do? Bulldoze the 10-0 Titans and look like they had the opportunity to be the best team in the conference. 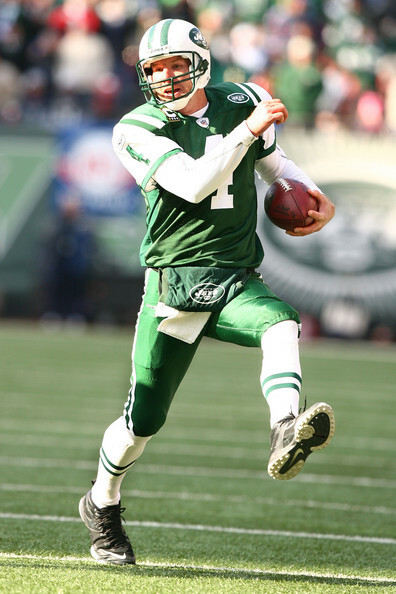 Remember, this is the year that Tom Brady was injured, so with Matt Cassel at the helm in New England, a division crown for the Jets was finally a possibility. Sure, the Dolphins were surging thanks to the discovery of the Wildcat formation, and Chad Pennington actually being healthy. But they didn't have Brett Favre. Well...things fell apart from there. This is when I learned that Jets fans simply aren't allowed to have nice things. They lost to the then 6-5 Broncos in New York thanks to a 129 rushing yards from Peyton Hillis. That may not sound weird right now, but it was unheard of at the time. Hillis eventually ended up carving out a legacy for himself two seasons later in Cleveland on the way to becoming the worst Madden cover athlete there will ever be. But, as for 2008, Hillis rushed for 343 yards the entire season, yet ran all over the Jets in what turned out to be a rout. That was the beginning of the end, and in Week 17, with a shot at the playoffs in the line is what had become a very tight three team battle for the AFC East crown between Pennington's Dolphins, Cassel's Patriots, and Favre's Jets (in hindsight, that may have been the weirdest quarterback turnaround for a division in NFL history. By the time training camp started, Brady had never been injured, Pennington was an oft-injured Jet, and Favre was half-retired. Somehow Cassel took over the reigns in Foxborough and kept the team afloat, while the other two joined new teams and propelled them to contention. Meanwhile, the Bills were sitting there using J.P. Losman and Trent Edwards. ), Pennington walked into his former home, and beat the Jets to eliminate them from the playoffs and propel the Dolphins to the division crown. It wasn't until after the season that we all learned that Brett Favre had been playing the end of the season with a shoulder injury, which is what caused his effectiveness to drop while the team lost 4 out of their last 5 games to miss the playoffs. It made sense for Favre to keep playing, seeing as our backups were Kellen Clemens, and we all had watched him fail miserably the year before, and another Brett, Ratliff, who played very well during the preseason but was very unproven. Still, it was hard to watch our team fall apart so badly. It was even harder for me to explain to people why I own a Brett Favre Jets jersey, because the only memories that people still keep of him from his stint with the Jets was the failure down the stretch and the Jenn Sterger Scandal. Speaking of falling apart, it would be impossible for me to recount some of the worst moments in my life of watching sports without mentioning the 2007 and 2008 Mets. There really isn't much to say about the atrocities that occurred in each of those Septembers. It made me absolutely sick. I watched my team go from one that could have ruled the major leagues to one that couldn't even compete in a Little League. Steven had a huge birthday party on the second to last day of the season in 2007, so instead of watching the Mets and Marlins brawl, I and thirty other wired up fifth graders were busy completing a scavenger hunt through the common area of an apartment complex in Flushing. Still, all of the Mets fans in the group knew that missing the playoffs altogether would have been an incredible feat of futility for a team with such a huge lead going into the final few weeks of the season. I missed Tom Glavine serve up seven runs in the first inning to the Marlins the next day. I can't remember exactly what I was doing, but I'm glad I wasn't near a TV to watch it, as I probably would have tried to punch my screen, and in the process learning that a nine-year-old trying to punch through glass only leads to one thing: amputation. I do remember crying while in my grandfather's car later that day as the radio confirmed that the Mets missed their opportunity at winning the division, and were one game behind both the Rockies and Padres in the Wild Card race. Somehow, against all odds, the Mets pulled it off. By the time we neared the end of the 2008 season, it all felt like some sort of cruel joke. How could the Mets possibly screw up their playoff hopes for the second straight year? Especially in the final season at Shea Stadium! Even the most sadistic of people wouldn't have dreamt up that scenario for the Mets and their fans. So, I found myself at Steven's on the final day of the season with a bunch of friends to watch it all go down. And again, I left Steven's apartment feeling horrible about myself, and my life. Following the Favre debacle, the Jets fired Mangini and hired Rex Ryan. Then, they traded up to draft Mark Sanchez on their way to a surprising appearance in the AFC Championship Game. I didn't think that the Jets had a championship-level roster at the beginning of the year, but good coaching pushed them forward. That team re-tooled prior to the 2010 season, and it was clear to me and everyone else that the New York Jets were legitimate contenders for the Super Bowl. Fresh off dispatching Peyton Manning (in what ended up being his final game as an Indianapolis Colt) and Tom Brady (in my favorite game in Jets history) in back to back weeks, the Jets headed to Pittsburgh for the AFC title game. Finally, my team was about to make the Super Bowl. They would have...had they shown up in the first half. Down 24-0 at halftime, Sanchez and the Jets made a valiant effort to come back but fell just short in their final drive, losing 24-19. I didn't even look up the score for this because I remember the game too well. I was in tears after that game. It meant more to me than the 2006 Mets did, because I had to suffer through so many ups and downs with the Jets by the time January of 2011 came around. I didn't watch the Mets have a bad season until 2009. With the Jets, I saw them use five quarterbacks in 2005, a lot of Kellen Clemens in 2007, and Favre fall apart at the end of a very promising 2008. There had been a lot more suffering by then. And getting oh so close to the best possible payoff was heartbreaking, especially since I witnessed the Giants capture a Super Bowl a few years earlier. My Giants fan friends were pretty obnoxious, and the Jets winning a title would have shut them up for a bit. So why have I been doing this for so long? There have been so many points where I had to wonder why I had wasted so much of my time and energy following these teams. I knew I couldn't switch teams, but why was I continuing to watch the same four squads disappoint me year after year. I know it's exciting to watch, especially when your team wins, but what's a random regular season win when there's no end goal? I've always considered myself a die-hard fan, but there were times where I could feel my support for each of my teams dwindling. I would find it physically impossible to watch a Mets game by the time August comes around because I didn't have any interest in seeing the rotting carcass of the 2006 team blow a late lead everyday. I would grit my teeth and turn on the Knicks game only to immediately regret my actions. I would stop watching the Rangers because I realized that they'd just pull off the same song and dance every year; make the playoffs as a low seed and lose in the first or second round or miss the postseason altogether. The team was going absolutely nowhere, especially after losing their best player, Jaromir Jagr (or, as I repeatedly heard from a Bruins fan at the first hockey game that I attended: YAAGAHH). I didn't even go to many games. I haven't been to a football game since that 2008 preseason game in which Favre made his Jets debut. I actually can't remember how many baseball games I attended between the years 2008 and 2011, but it wasn't very many. And this is from someone who used to jump at any opportunity to go to Shea Stadium to catch a Mets game. I haven't been to a Rangers game since the spring of 2007. I've never been to a Knicks game. This is something that I've always blatantly lied about because it's somewhat embarrassing to have never even gone to see one of the teams that I proclaim to root for with all of my heart. 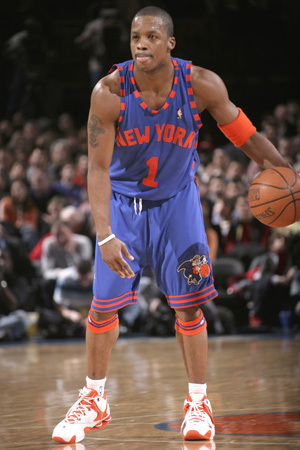 But, there's a legitimate reason why I still haven't seen the Knicks in action. The seats for Knicks games at the Garden are, to put it lightly, reallyfuckingexpensive. And, unfortunately for James Dolan, a middle class kid from Queens was not going to even bring up the subject of buying tickets to see the Quentin Richardson Show get blown out by 20 points at the Garden. Even though it wasn't my money, it never seemed like going to see the Knicks was worth my time, energy, or even someone else's cash. I stayed invested in every league (except for the NHL, which I didn't really dive into until a couple of years ago), but my interest in each of my teams was waning. Watching sports had become a drag rather than something I looked forward to. This past spring, I realized why I've continued to be a sports fan, even after all of my low moments that have come directly as a result of sports. The Rangers went on a magical and unforgettable playoff run on their way to losing the Stanley Cup to the Los Angeles Kings in five games. The playoffs began like any other from the Rangers, as they won their first round series in seven games (because they always go to seven games) and fell behind the Pittsburgh Penguins 3-1 after teasing us all by winning the first game. Well, that's it. The Rangers had a nice run, and now it's over, as usual. On the night of Game 5, I had to read stage directions for a play reading at my school, and I actually forgot that the Rangers were even playing. After wrapping that event up, I went to my lacrosse team dinner, which ended up being the first time all day that hockey even crossed my mind. I was truly invested in the Rangers, but I has basically written them off. They were facing a Pittsburgh team that was, simply put, better. With a 3-1 advantage, it didn't seem possible for the Rangers, my Rangers to pull it off. I walked into the dinner during the second intermission, and I soon found out that the Rangers were...LEADING?!?!? Well, they'll just continue the trend and give everyone false hope with a win, then proceed to toss it out the window by no-showing Game 6 at home. That didn't happen. Yes, I missed Martin St. Louis's goal in the first period of Game 6 because that was the first time all postseason that the Rangers game started at 7, and I didn't even bother turning on my TV because I was convinced that the puck-drop was at 8. In fact, it took me until the first intermission to even hear about the passing of St. Louis's mother prior to Game 5 (because somehow by missing the start of each of these games I was completely in the dark for this sad occurrence). I didn't know that his goal on Mother's Day meant something more than just a lead in the game. A friend of mine who was at the Garden that night said that the emotion was palpable in the building, especially after St. Louis's first period goal. Generally, I don't like to use arbitrary reasons to explain away things that happen in sports. However, while I won't go out and say that someone's death caused the Rangers to win the series, it proved to be a rallying point rather than a distraction for the team. And most of the credit for that goes to St. Louis himself, who in such a trying time, found it within himself to keep on playing his hardest and do whatever he could to help his team stay alive in the playoffs. That's not something that most people on this planet would have been capable of. His ability to put his head down and give his best effort while in mourning was absolutely awe-inspiring. This wasn't just a 38-year-old former superstar that was on the ice for the Rangers. This was Martin St. Louis: the offensive wizard, the energetic skater, and most importantly, the man. Led by St. Louis, the Rangers offense suddenly woke up in the final three games of the series, and combined with the usual world class goaltending by Henrik Lundqvist, the Rangers were headed to the Eastern Conference Finals. Once there, I felt a different sort of energy than I ever have felt in regards to one of my teams. Going into the series against the Montreal Canadiens, some people were actually proclaiming the Rangers as the favorites to win the series. And unlike the 2006 Mets, these men actually delivered (don't worry Jose Valentin, I still love you). They began the series by putting up 7 goals on the road. Habs goalie Carey Price was hurt early in the game, and had to be pulled. Now, without their star netminder, and down 1-0 in the series, things looked completely hopeless for Montreal. 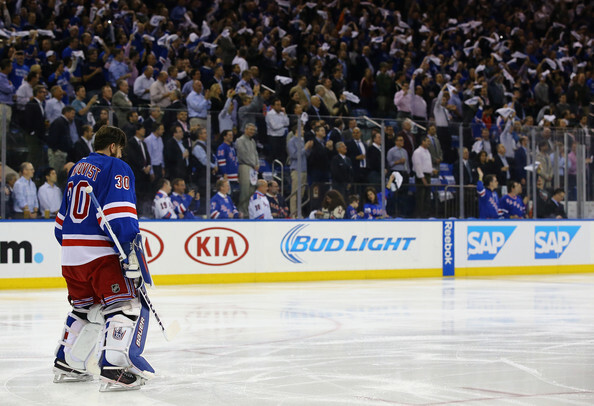 It seemed inevitable that the Rangers would actually advance to the Stanley Cup Finals. My mother, who isn't a sports fan (but keeps finding her way into my columns), could even feel the excitement that came with that goal. Just listen to the crowd after St. Louis scores. I turned up the volume on my TV so the only thing that you could hear in my house was the sound of a packed MSG singing along with the Rangers' goal song (which is an amazing song...if you're a Rangers fan. It's so incredibly interactive and fits the mood of scoring a goal very well, but it's also horrible music. If I were a fan of any other team I would hate the song with a passion, much like I hate the Atlanta Braves and their super-obnoxious tomahawk chop. But, as a Blueshirt supporter, the incessant WO-OOOOOOO-OOOOOOOOOAAHHHHHHHHHHs never get old to me.). Despite all of the hate I have and will continue to throw at Brad Richards, I will always have a soft spot for him in my heart. No, not just because of his goal with 6.6 left in regulation against the Capitals, but because his effort on the forecheck (along with Carl Hagelin) helped set up St. Louis's snipe to win Game 4. The reason why I called this my greatest moment as a sports fan is because that is when, without a doubt, it became obvious to everyone with an IQ over -57 that the Rangers were winning the series. I was finally going to see my team fight for a championship. There was just no way that they'd blow a 3-1 series lead to the Canadiens. Even as Montreal scored 7 goals on the Rangers in Game 5 led by a hat trick from Rene Borque, I was finally going to see my team fight for a championship. In fact, there was a point during Game 5 that I began wishing for the Habs to keep scoring, because I fell in love with their goal song. It's so damn catchy. I mean, listen to the portion that plays after each of their goals and try not to get hooked. This song even crosses a language barrier for me, as a result of my limited French. And by limited, I mean that I know one word: pamplemousse. In fact, listen to the whole thing. It may not be everyone's cup of tea, but it became something to look forward to as my team was falling apart during the game. And yes, I have listened to it many, many times since. And guess what? I earned the right to essentially root against my team during a playoff game. Because they were going to advance to the Cup anyway! For the first time, everyone in the world had to recognize how good my team was. The team that I watched go from a horrible start to the season was now being in position to win their conference. Next season, they get to hang up a banner that's more important than a Division championship, which means nothing when the team flames out of the playoffs. The Rangers aren't my only team on the rise. For the first time in my life, there's something to look forward to with all of the sports teams that I root for. Mets fans have already been given a taste of Matt Harvey, and I can't wait to see him back in the majors next year. Young arms Jacob deGrom, Zack Wheeler, and Dillon Gee are pitching very well in the MLB. Rafael Montero and Noah Syndergaard (who is even better than Harvey) will help round out that stellar pitching staff in 2015 as they graduate from what ESPN's Keith Law calls the third best farm system in the MLB. Obviously, offense is still a problem, but it's easily fixable. Travis d'Arnaud looks to be coming into his own right now. Lucas Duda is actually playing pretty well at first base. Even Ruben Tejada hasn't been terrible this year. There's a lot of talent in the minor leagues that may not be as famous as Syndergaard or Montero, but will help the team for years to come. After missing the playoffs in every season since 2006 (yes, including this year), the Mets look primed for a playoff push in 2015. After ridding themselves of General Manager Mike Tannenbaum and his horrendous decision-making, the Jets surprised a lot of people (including myself) by pulling off an 8-8 record. With a new attitude, and John Idzik's careful and calculated moves, the ship has been righted. The Jets actually have some semblance of an offense now, and look to be playoff contenders in the upcoming season. As long as Rex Ryan is around, anything is possible for the Jets. For some reason, even the Knicks are doing something right. 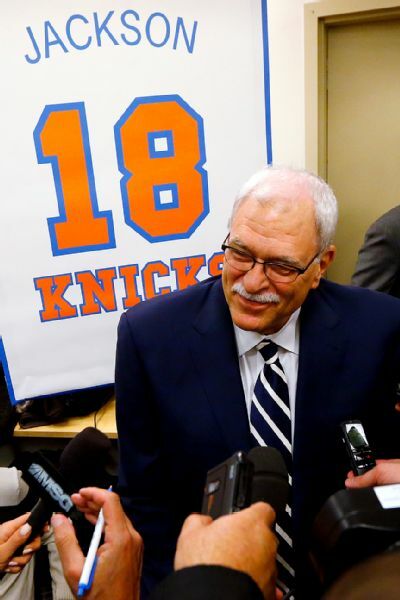 Phil Jackson's goal is to not run the team into the ground, and it looks like he's accomplishing that so far. They're not going to threaten anyone in the Eastern Conference at the moment, but this season, I'll actually enjoy watching my team play instead of basically ignoring them for the finals two months of the season. Watching them won't be a chore. Being a sports fan can be a very long and bumpy ride, especially if you're as engrossed as I am. Even though I still haven't seen one of my teams win a championship, I've been close enough to the promised land that I am able to say that it's all worth it. The best part is that I don't know if I have to continue to use that sentence for much longer. Each of the four New York teams that I root for are on the upswing. If they can maintain their momentum, it looks like I'll be attending a parade at the Canyon of Heroes quite soon. And it will be there, surrounded by thousands of screaming New Yorkers, I'll be able to let go of the past. The stupidity and horrible luck that plagued my teams in the past won't matter to me anymore. There won't be any need to constantly think about all of the bad moments. Doug Brien's shanks, Omar Minaya's foolish transactions, Mike Tannenbaum's incompetence, and Isiah Thomas's ability to completely forget how basketball is supposed to be played can be thrown to the wayside. Because then, I'll finally have reached the pinnacle of fanaticism.